It’s December! Its that time of year for decorating and Christmas fun. We are so excited for the holidays! On Fun On a Dime our motto is Enjoy more, Stress less…SO I have a special something I created to share with you. 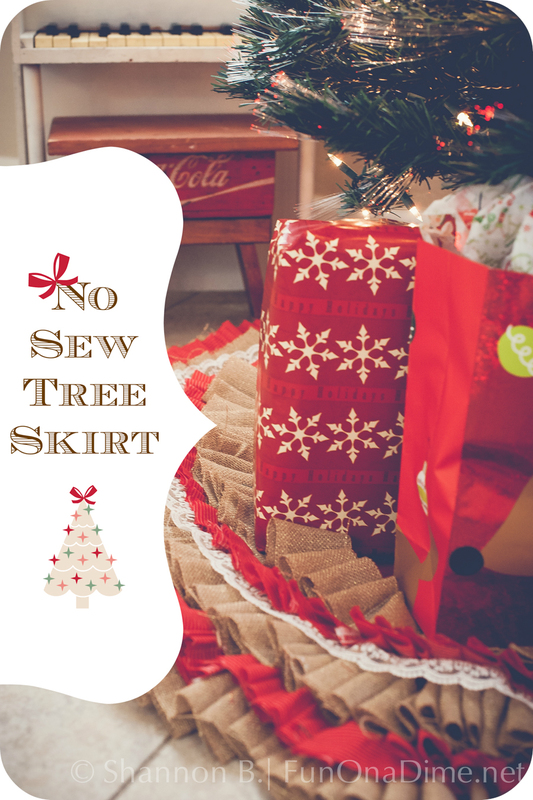 I am kicking into gear with the holiday spirit and making a fun and stylish tree skirt! Step 1: Cut all your fabric in strips. The length doesn’t necessarily need ot be a certain length. But you need ot have a set width. I did 2 inch strips of fabric for both my linen & Burlap. Step 2: Make your first line of glue at the edge of the tree skirt. Step 3: Place your fabric on top of the glue line. Step 4: To make a ruffle, pinch a portion of fabric between your fingers& press it down, overlapping the previous ruffle. Keep going until you have completed your first row. Don’t’ forget to grab some hot chocolate and throw on some Christmas music! 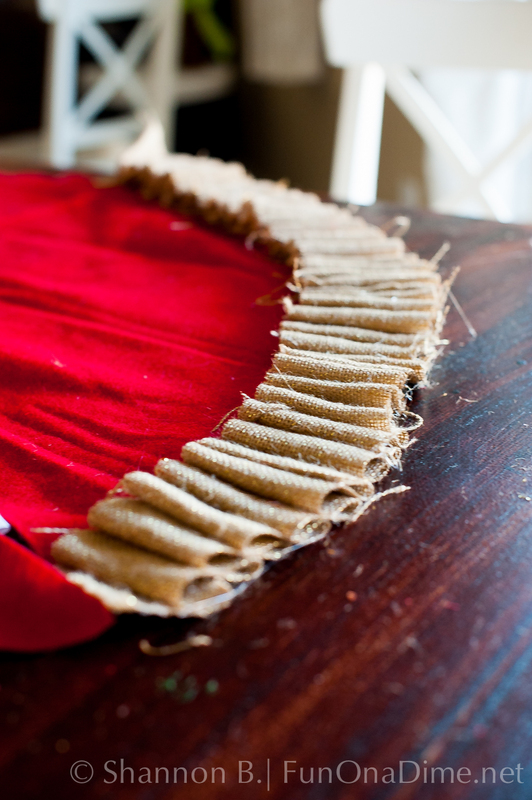 TIP: If you are using burlap like i did, You may want to make your ruffles & pin them down before you glue them. Burlap does not like to stick to felt very well 🙁 Doing this will prevent bad finger burns & Will make it a whole lot easier. 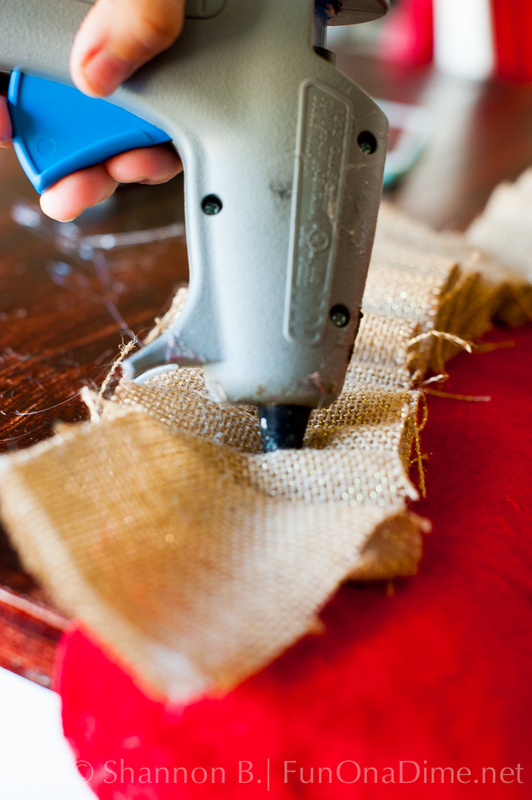 After you have pinned, then glued, Be sure to pull all of the pins out of the burlap layers. Step 5: Now back to the project. A couple of inches above the first row, make your second line of glue. Continue making your ruffles the same way as you did on the first row. Repeat for each additional row. Step 7: Keep making the ruffles until you reach the the desired area of ruffles. 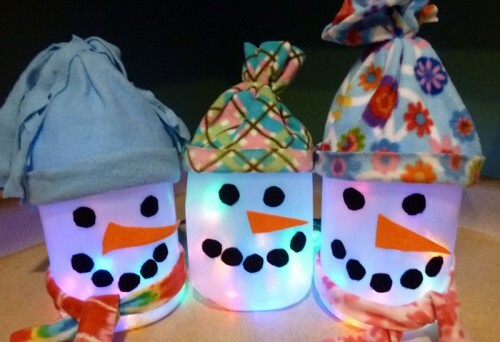 You can make them with only a few rows, mid way or all the way up! It’s your choice! Step 8: Several hours later, 50+ Glue sticks & a couple burnt finger later, you are finished! These are fun to make, time consuming but so worth it. 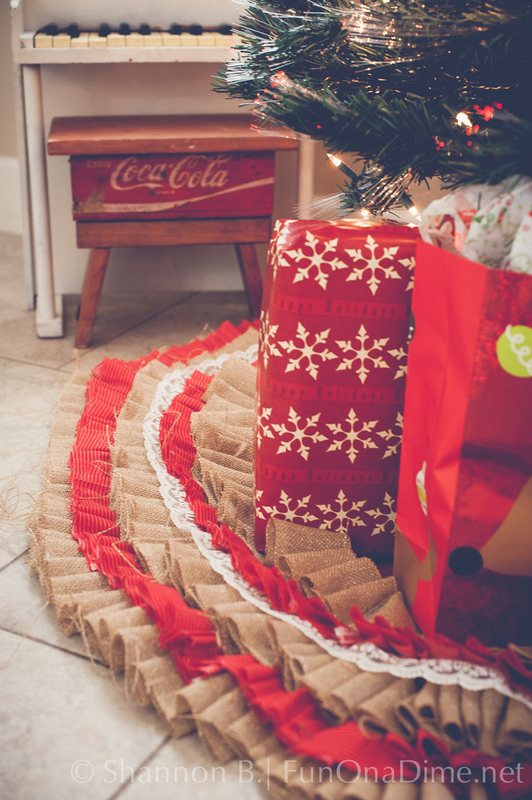 Why spend a bundle on those cheap material tree skirts, even better doll up an old one! It also makes for great gift for giving too. 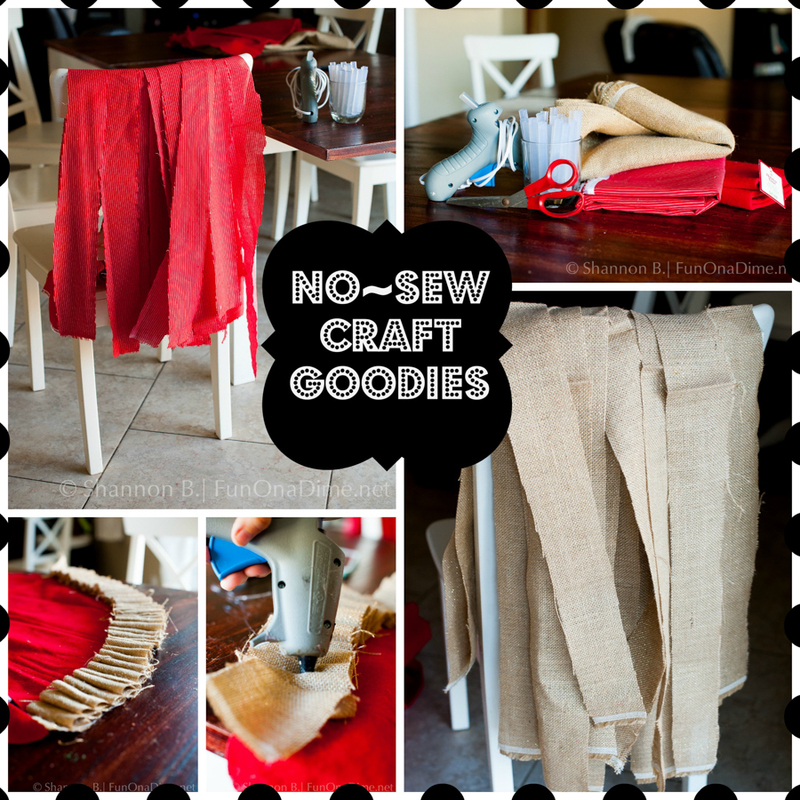 Princess Apron Tutorial – super cute!